I might be dining at fanciest of restaurants, but nothing can comfort and satisfy me as simple street food. And I am always on a lookout for good places in Dubai to satisfy my street food cravings. 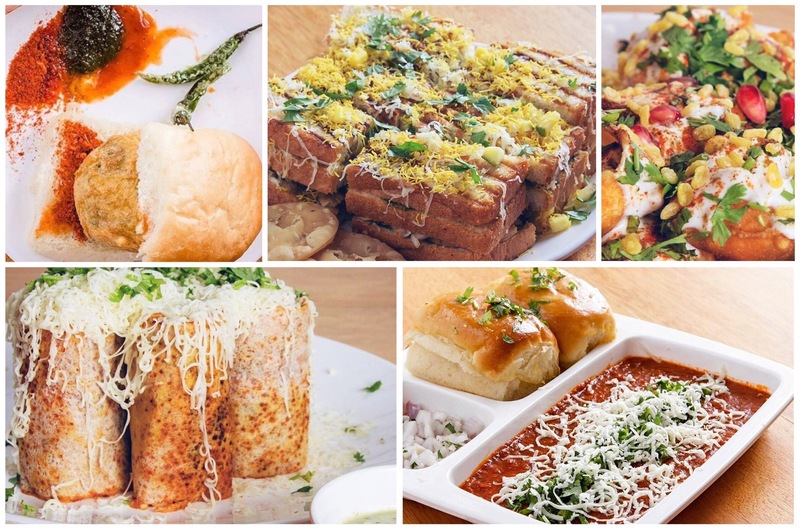 Being an Indian and having lived in India for many years, I’ve been exposed to the amazing Indian street food that is famous all over the world. Every state and city in India has its own specialty when it comes to street food. According to me the best Indian street food is from the city of Mumbai. Having lived in Mumbai for more than 4 years, I’ve had the chance to taste some incredibly flavorful combinations of ingredients. The sheer variety of scrumptious food is mind boggling. When I heard that Bombay Times restaurant, a Mumbai based street food restaurant has opened in Dubai, I immediately checked their menu online and ordered food from them. 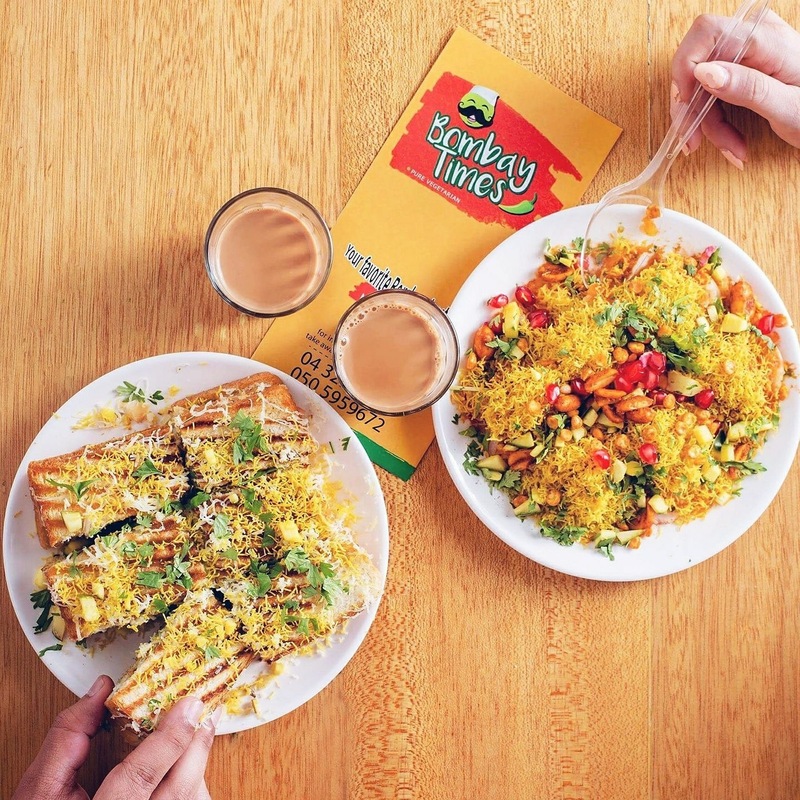 Bombay Times restaurant is a small restaurant that is located in Al Fahidi Street in Meena Bazaar. Its a vegetarian-only restaurant. I’ve not visited the restaurant and have ordered the food online, so cannot comment on the decor or service. But the food that I ordered was delivered on time. The flavor and taste of classic Mumbai style Vada Pav with garlic chutney transported me to the streets of Mumbai. Chatpata Sev Puri Grilled Cheese Sandwich was unique and delightful. Never thought the combo of sev puri and grilled cheese sandwich will work so well. Dahi Aloo Tikki Chaat was lip smackingly delicious. I liked the sweet and sour taste of this chaat. Spicy, buttery and cheese-filled Jini Dosa with veggies was beyond amazing. It made my taste buds go on an adventurous trip. A must-try. Pav Bhaji was well made, but too greasy as it was slathered with loads of butter. I loved the food, it took me back to my Mumbai days. Now I know where to go when I am craving for Mumbai style street food. The prices are pocket friendly and their menu offers breakfast, lunch and dinner. P. S. The picture credits goes to Bombay Times restaurant. As it was a home delivery, I couldn’t get good pictures and upon my request the restaurant sent me pictures.